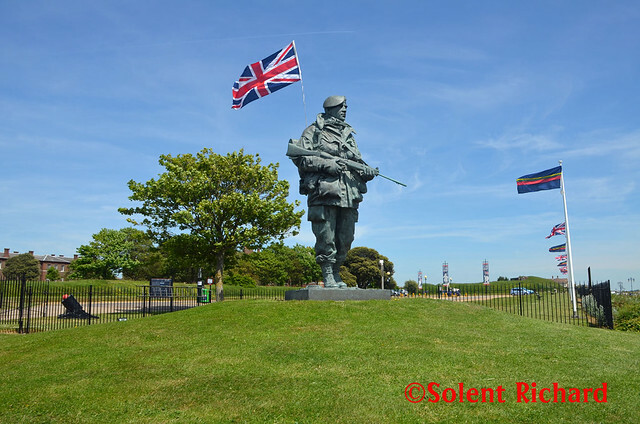 Continuing my series of ‘One Way to Do…’ I decided, having seen the foreign interest in the blog through the ‘Flag Counter’, that this edition will be as much for visitors to the United Kingdom as it is for UK residents. 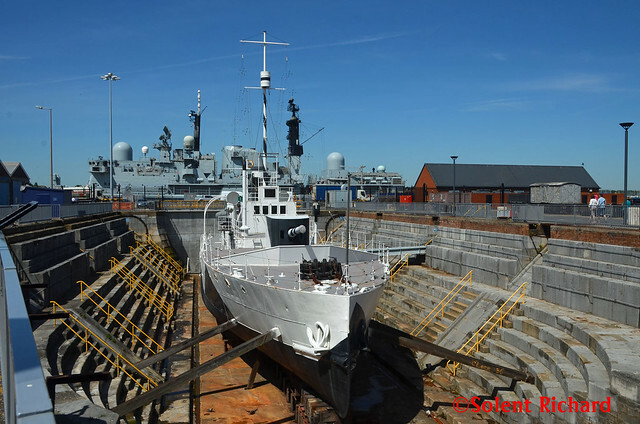 Hence this thread will be featuring Historical Portsmouth: or at least the historical naval connection. 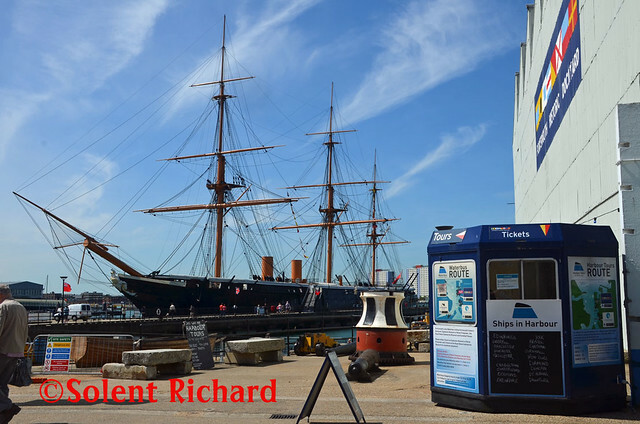 We start the tour at an area on Portsmouth harbour side, called The Hard. 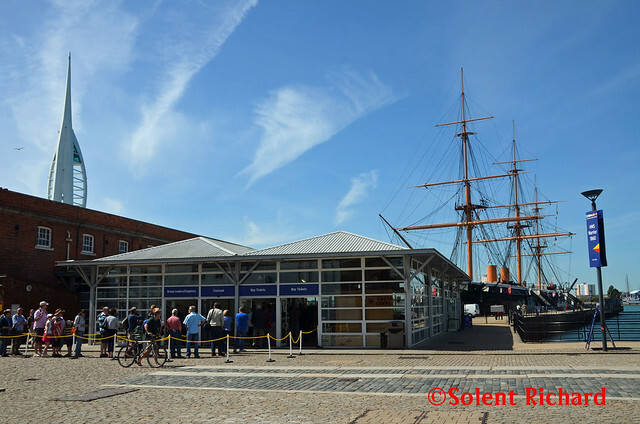 It is a convenient place because it is also the transport hub for Portsmouth, home of the bus and coach station, the Gosport Ferry and the South West Trains station, Portsmouth Harbour. 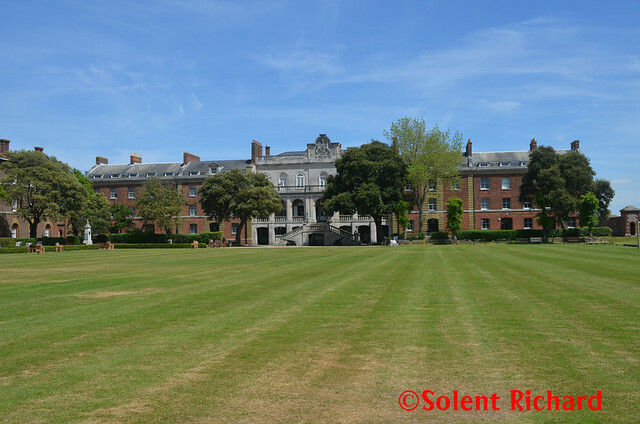 There is also more than sufficient car parking in the area and all well signposted. 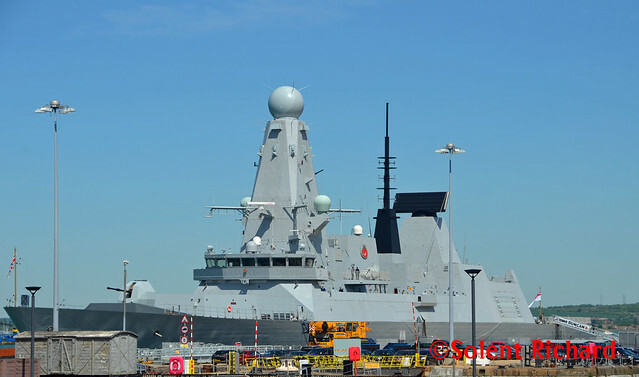 The Warrior was Britain’s first iron-hulled, armoured warship, and her sleek black lines almost take your breath away. 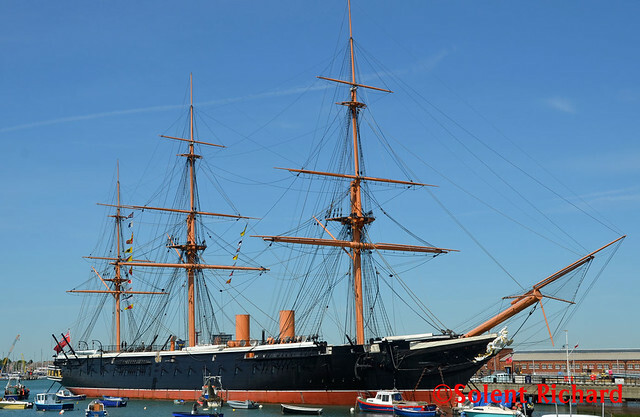 Warrior, launched in 1860, was the pride of Queen Victoria’s fleet. 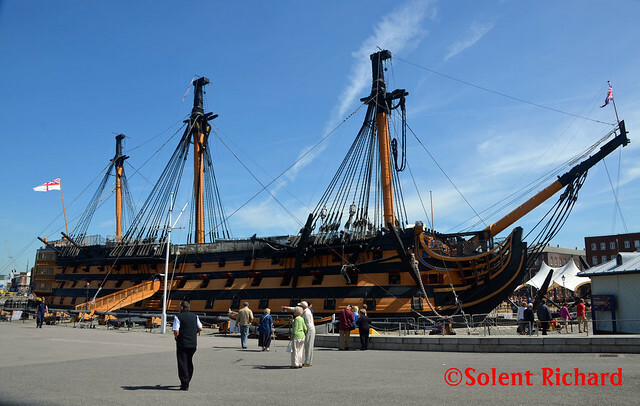 Powered by steam and sail, she was the largest, fastest and most powerful ship of her day and had a profound effect on naval architecture. Warrior was, in her time, the ultimate deterrent. Yet within a few years she was obsolete. 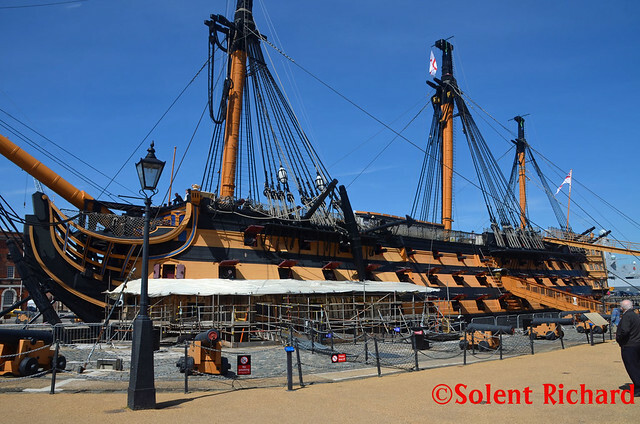 HMS Victory is currently undergoing a period of restoration and visitors have the unique opportunity to witness the process taking place on the oldest commissioned warship in the world and a proud memorial to Vice Admiral Lord Horatio Nelson, Britain’s greatest Naval hero and his stunning victory at the Battle of Trafalgar. 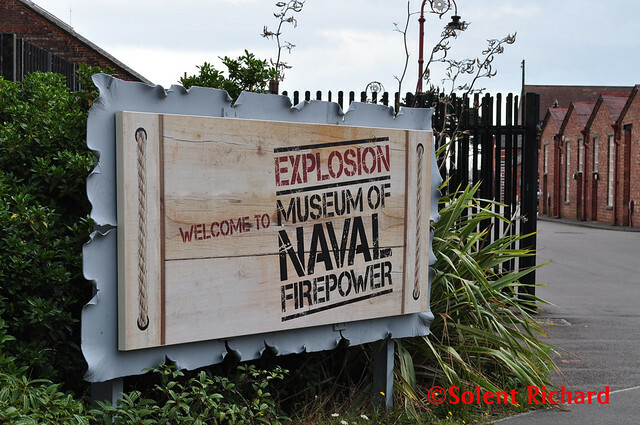 Entrance to the Royal Marines Museum, Southsea, Portsmouth. 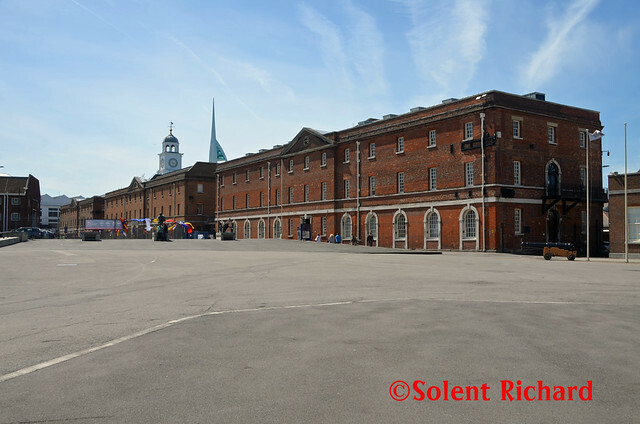 The old Officers’ Mess is now the Museums main building. 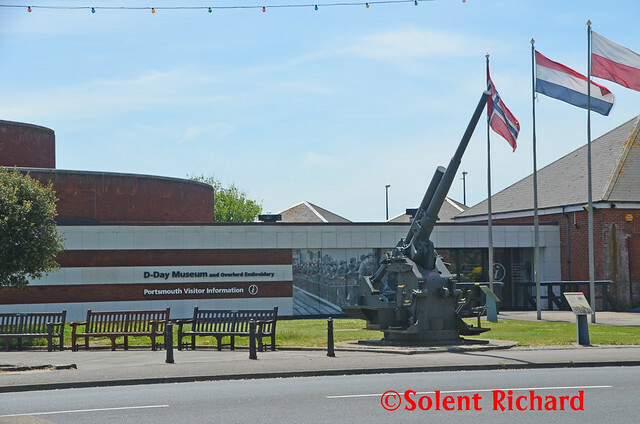 Portsmouth’s D-Day Museum is Britain’s only museum dedicated solely to covering all aspects of the D-Day landings in Normandy, France, on 6 June 1944. 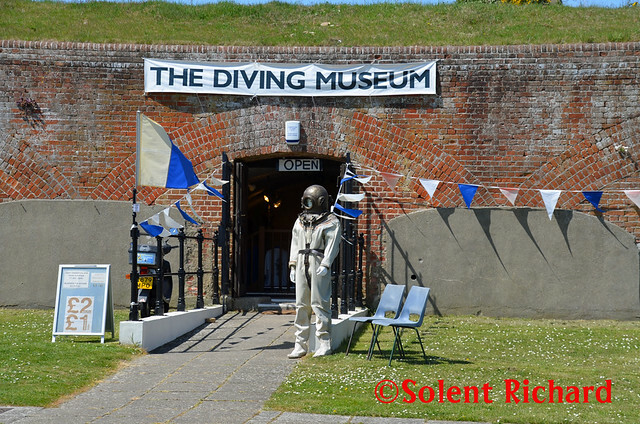 D-Day was a turning point in the Second World War, and a moment when the course of world events depended on the Allied troops taking part. The Museum’s centrepiece is the magnificent Overlord Embroidery. At 272 feet (83 metres) in length, this is the world’s longest embroidery of its kind, and the Twentieth Century equivalent of the Bayeux Tapestry. 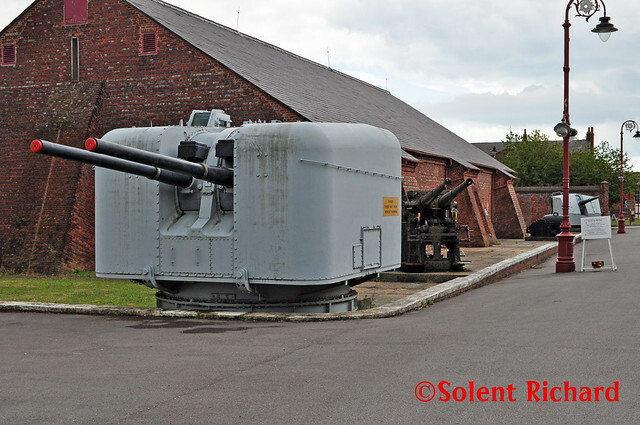 That just about concludes this guide to Portsmouth and its historical naval sites. I trust it has been both informative and of interest to all readers. 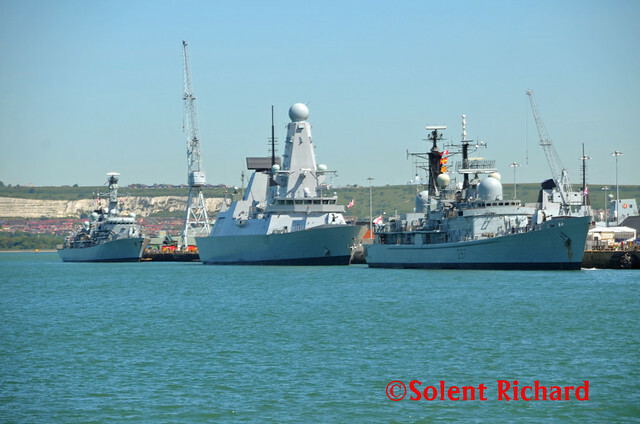 The introduction to this page concentrated on starting this tour of Portsmouth’s Naval Heritage sites from The Hard and its public transport hub. 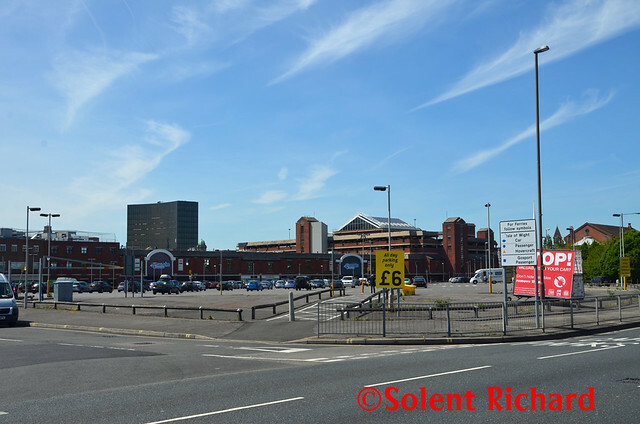 For those wishing to visit Portsmouth by road and private car there is more than sufficient car parking facilities when entering the city. 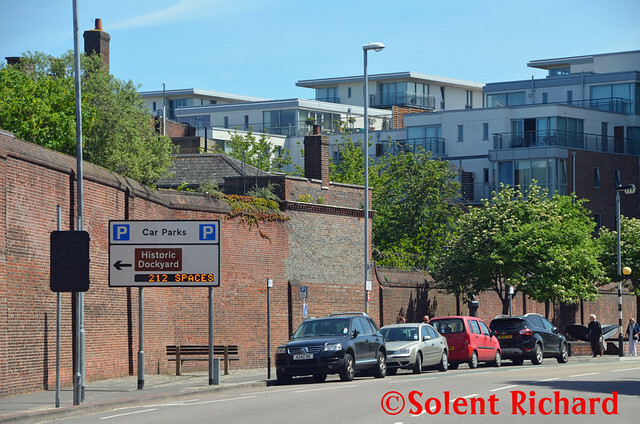 Just 200 metres past The Hard there is a major car park to the right: follow signs to Gunwharf Quays car parking. 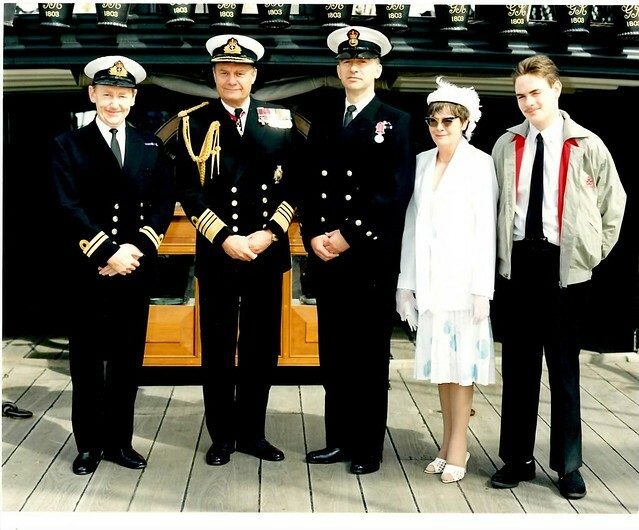 Really enjoyed that Richard. Loved the information about the Overlord Embroidery. It looks fantastic. Thanks for the tour! I love your writing, I could see this happening as I read.